Boom! 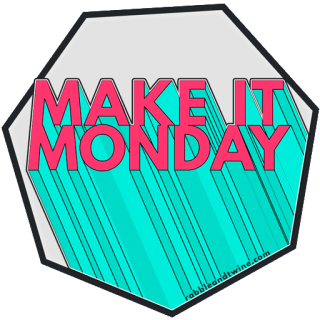 Blast from the past: we’re bringing back a Make it Monday feature this week! We’re sharing a little something we made for our walls. Ever since we moved into our NC house Luke and I have been struck by just how beige the walls are in here. I can deal with a bright, clean white, but there is just something about the creamy undertones of beige that make me hate the world (#notmyneutral). Beige is boring, safe, and all together uninspiringIf beige is your jam more power to ya! Get down with your beige loving self. I love walking into a person’s home and seeing a space that speaks directly to who they are.. We are folks who love an abundance of patterns, textures, and color combinations. We love tons of wall art on bold wallsWe’ve gone too far down the paint color rabbit hole before. In our first apartment in Providence we painted Luke’s office “Green Apple”, which turned out to be a super-bright green screen green. It was awful! You live, you learn.. We’re not allowed to paint our current rental, so we decided we would flex our creative muscles and make a large piece to cover up some of the beige ourselves. This project was a cheap and easy way to do that! Plus, it was an opportunity to bring the outside in—and I’m a strong believer that that’s good for the soul. Growing up my Nana had a beautiful piece of driftwood mounted on her living room wall. 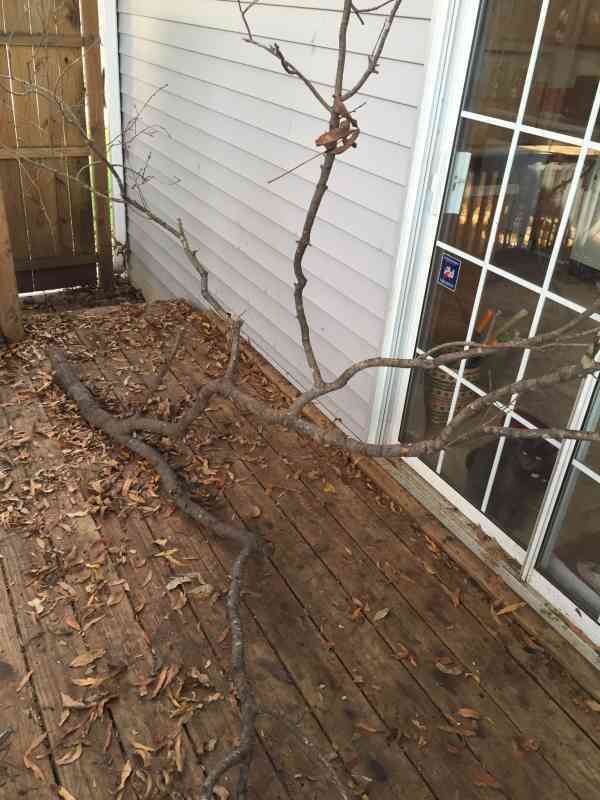 She used to hang decorations on it according to the seasons. I always loved it best in the wintertime. 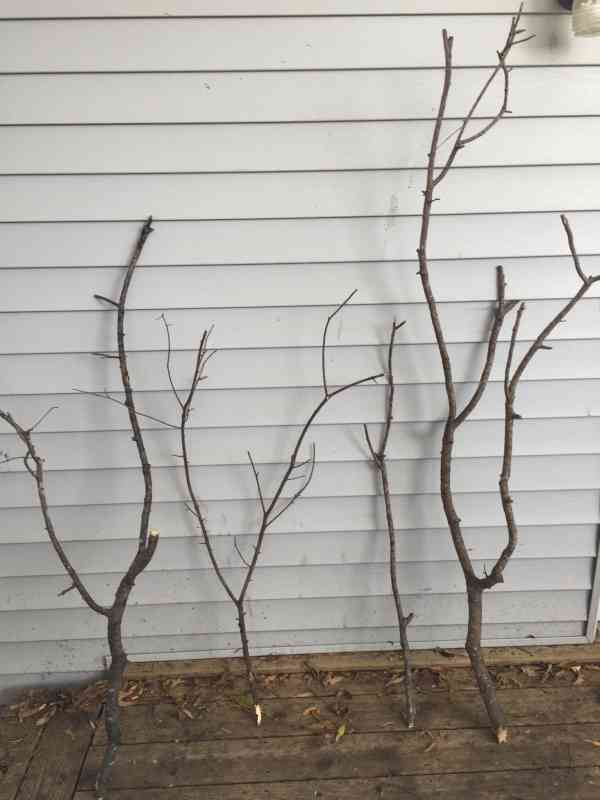 This project is our take on my Nana’s branch. What better way to make a house a home than to add some nostalgic familial roots (tree pun!)? 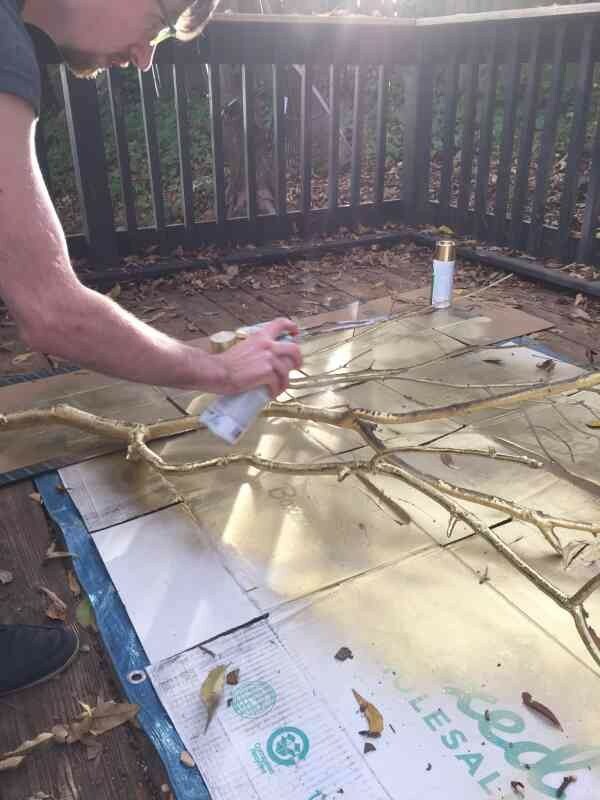 Beige isn’t so bad once you slap a gaudy gold branch on it! A project doesn’t need to be particularly innovative to make you happy (we talk more about this in our creative pep talk post). Made any house projects or artistic discoveries of your own lately? We’d love to hear about them.